It is important to select the right sleeping bag to fit your interests and camping destinations. 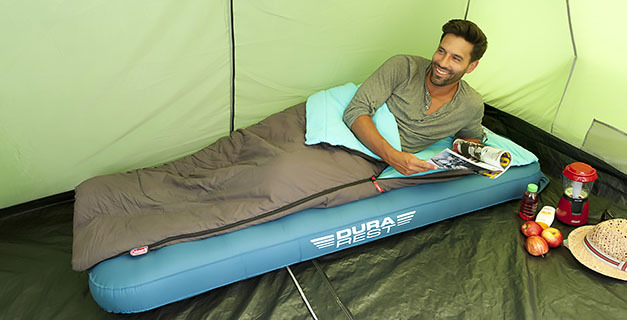 This comfortable range of Heaton Peak and Heaton Peak Comfort sleeping bags are made to withstand cold nights and come in a variety of sizes to guarantee a restful sleep on those outdoor nights. Heaton Peak Comfort bags have a soft and comfortable cotton shell. Cooler in warm temperatures and warm when its cold. The cotton flannel lining provides comfort and softness against the skin while the thermo collar minimizes heat loss across the shoulder area and the innovative Thermlock™ zipper baffle helps retain warm down the length of the bag.